The purpose of the study was to compare conventional versus minimally invasive extraperitoneal approach for anterior lumbar interbody fusion (ALIF). Fifty-six consecutive patients with spondylolisthesis, lumbar instability, or failed back syndrome were treated with ALIF between 1991 and 2001. The patients were retrospectively evaluated and divided in two groups: Group 1, consisting 33 patients, was treated with ALIF using the conventional retroperitoneal approach, and Group 2, consisting of 23 patients, was operated with the minimally invasive muscle-splitting approach for ALIF. The groups were comparable as regards age, indication of fusion, and diagnosis. All patients in both groups had fusion with autologous iliac crest grafts and posterior instrumentation with posterolateral fusion in the same sitting. Clinical evaluation was done by two questionnaires: the North American Spine Society (NASS) Lumbar Spine Outcome Assessment Instrument and the Nottingham Health Profile (NHP). Fusion rate was evaluated radiologically. Mean clinical follow-up was 5.5 years. There was no statistical difference in the occurrence of complications with both approaches nor with the fusion rates of 92% in group 1 and 84% in group 2 respectively. The minimally invasive extraperitoneal approach for ALIF was associated with significantly less intraoperative blood loss, operation time, and length of the skin incision. 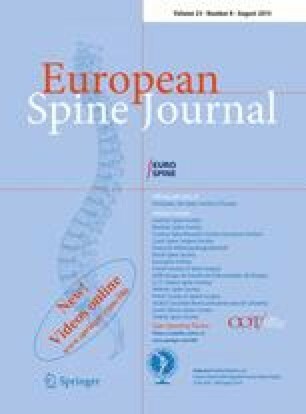 In addition, this approach showed significant improvement in postoperative back pain in comparison to the conventional approach for ALIF.